If I was writing a letter to Santa this Christmas, I’d be asking him for more Australian politicians like Senator Sarah Hanson-Young. This is why: in my view, no other politician is keeping the truth of Australia’s detention centres in the spotlight like she is. Many are indeed doing their bit but she is challenging the nonsense, and cruelty, in big ways and small, and keeping humanity the centre of the discussion. As well as her rebuttal this week of the Australian Foreign Minister Julie Bishop’s claims that detention centres were of better standards than Australian mining camps (let’s not treat voters stupid and compare a ‘free to leave’ compound with a practical ‘jail’ next time Julie), and pressuring Bishop to later admit she hadn’t even been inside the detainee’s living area and had only seen staff quarters, the Senator is caring for the kids in a practical way. The Senator said in all of the shocking things she has seen during visits to the detention centres, the lack of toys for the children is something that struck her the hardest. In partnership with Save the Children, she has invited people to send toys to her electorate office, and she will organise these to get to Nauru, to the 100 or so children there without toys, without a playground, and only gravel to play in. With so many of us having to go to a post office this week to either send or pick-up packages, it is easy to get some toys on the way, pop them in a padded Australia Post bag, and send. But you still can send toys after Christmas, because sadly, the children aren’t going anywhere. 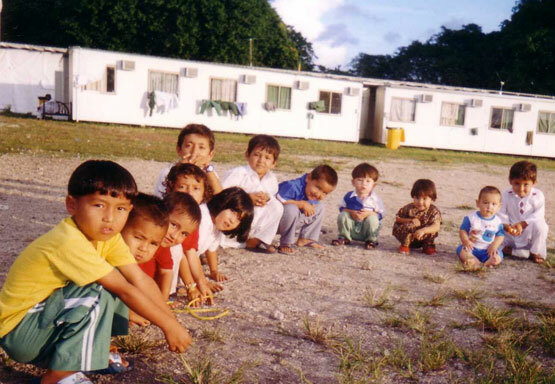 Read more about Toys for Nauru on the Senator’s website.